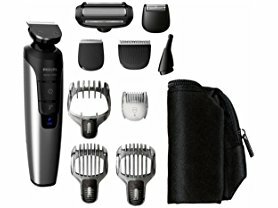 Today (1/29) only this Philips Norelco Series 7500 Multigroom Trimmer with Attachments is just $45.99 (Reg. $129.99)! ​​Groom your beard, hair and body with this fully washable all-in-one trimmer. 10 different attachments give you the freedom to create different styles from head to toe, while turbo power helps you trim through thick hair evenly and gently.